The US Army’s annual Best Ranger Competition is about to begin at Fort Benning, Georgia. If you’re not familiar with this competition, it puts some of the greatest warriors on the planet through the ultimate test. This grueling 60-hour ultimate endurance competition challenges Rangers in every conceivable manner. 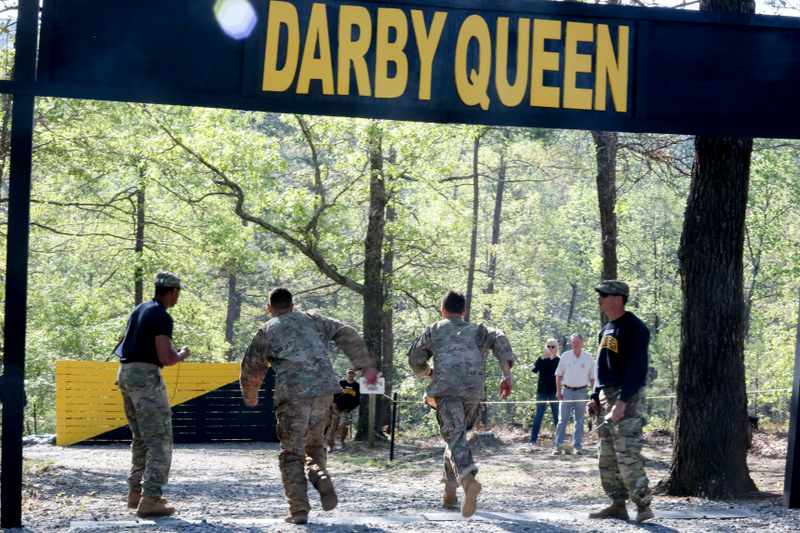 One of the most challenging events of this competition is called the Derby Queen obstacle course. This event takes place late in the competition, after moving distances of 60 to 100 miles. The Derby Queen is legendary in the Ranger community. This obstacle course is brutal on the human body. Every obstacle is difficult, but the obstacle that stands out above the rest is called “The Weaver”. This simple A-frame obstacle is constructed from a series of wooden beams. Rangers are required to weave themselves over one beam and under the next beam following the same general pattern of a weaving loom. This obstacle is simple to build, but extremely difficult to accomplish because of how close these beams are to one another. The human body simply isn’t bending and weaving in this fashion easily. It normally takes Rangers 5- 10 minutes to get from one end of The Weaver to the other! Then in 1993, I witnessed something that my eyes couldn’t believe. 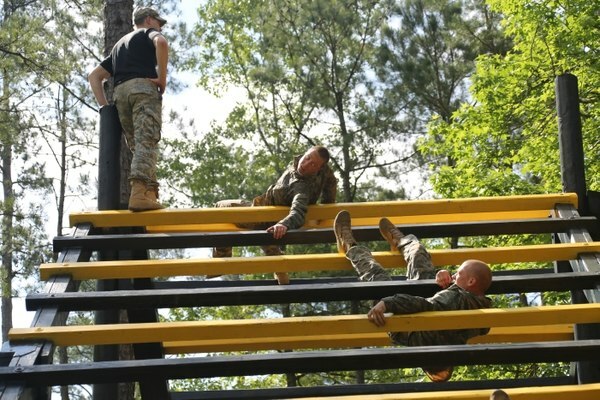 I watched a team of two Rangers negotiate The Weaver obstacle and 32 seconds! My friends, Kurt and Rick, were preparing for the Best Ranger competition in 1993. I happened to be with them at the Derby Queen obstacle course when they negotiated the weaver in this mind-blowing time. The following year, I began to train for the Best Ranger Competition. I spent a lot of time training for the Derby Queen obstacle course. The more time I trained, the more I realized I needed help on The Weaver. This obstacle was beating me up, and no matter how hard I tried, I wasn’t getting any faster. I walked away with bruises across half of my body but still couldn’t cut my time on The Weaver. In desperation, I asked my friend, Rick, if he would demonstrate how he negotiated the Weaver so quickly. Rick trained me on where to place my arms, how to bend my back, and where to put my feet. With just a little bit of training from my friend, Rick, I cut my time on this obstacle from 5 minutes to 50 seconds. The more I continued to practice, the faster I became on The Weaver. The Weaver still left me black and blue, but now I was able to negotiate this obstacle as fast as any other Ranger. I needed somebody to show me how to negotiate this obstacle quickly. In 1997, I found myself coaching 10 teams preparing for the Best Ranger Competition. We spent a lot of time at the Derby Queen obstacle course that year. As you can imagine, those teams spent a great deal of time and effort on The Weaver. I did for those men what my friend, Rick, did for me. I showed those men where to place their arms and how to bend their back just like Rick trained me. These men needed somebody to teach them how to negotiate The Weaver, just like I needed someone to teach me a couple of years earlier. I’m using the example of The Weaver to describe what it looks like to take what you learn and pass those things on to the next generation. We typically pass on to others what we have learned about business, politics, or our personal lives pretty well. However, I am convinced we must learn to do this with our faith as well. The concept of showing somebody what you believe and teaching them to practice it the way that you are practicing your faith is called discipleship in the Bible. Some people are able to understand by just hearing what you believe. However, others need to see the way that you exercise your faith also. I believe one of the most vivid ways to describe a person’s belief is when they start to suffer. People always live out what they believe when life gets hard. The way that you conduct yourself in the midst of suffering shows what you believe in ways that are more powerful than your words could ever say. People sometimes sit back and watch what you do before they are willing to hear what you have to say. I learned how to negotiate The Weaver from my friend, Rick. I tried to pass on to other Rangers what I learned. I showed Rangers the bruises to remind them that it is painful to go through this obstacle. There is no way to negotiate The Weaver that doesn’t leave bruises. It hurts no matter which approach you use with this obstacle. However, if done poorly, the pain lasts much longer than necessarily. Are you going through something painful right now? If so, I suggest finding some people who have successfully walked through this kind of thing also. Have you been through some painful problems in the past? If so, then I believe you owe it to the people coming after you to help them get through those difficult times as well. Show people what you believe by the way that you handle the bumps and bruises of life.